The Nucleic Acids in MEdicine (NAME) 2019 meeting happened earlier this week in Edinburgh. NAME is a networking and brainstorming meeting funded by the Scottish Research Partnership in Engineering in connection with the theme “Engineering at the Life Sciences Interface”. As the name suggests, the meeting focused on DNA and RNA molecules and how emerging techniques and technologies can be used to further the understanding, diagnostics, and treatment of disease. It was a pleasure to represent Insplorion in this meeting. I had the chance to brainstorm with people that approach the topic with very different perspectives: from the most molecular biology approach to the clinical settings view. It is refreshing to get a broader perspective on how different fields can look at the same problem. As a sensor company, I think it is very important for Insplorion to keep an open mind regarding new applications. There are certainly many unexplored opportunities for our research instruments out there and, perhaps, even new sensor devices. I would like to thank Dr. Katherine Dunn for the invitation and all the participants for the educational and inspiring conversations. Edinburgh is a beautiful city and the meeting was rewarded with three glorious days of sun. There wasn’t a lot of time for tourism but a walk along the Royal Mile while eating some fudge can only feel good. For whisky lovers this seems to be the right place as well, maybe next time with some more free time. 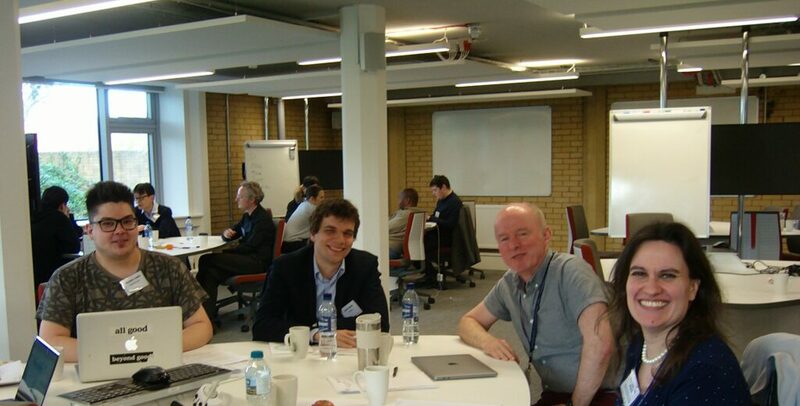 From left to right: Dr. Veikko Linko from Aalto University, me, Prof. David FitzPatrick and Dr. Katherine Dunn during a brainstorm session.